Hey guys! I totally forgot to update you all yesterday on how I’m doing with the 5 drink challenge. Probably because I was embarrassed that I totally blew it on Saturday night and didn’t want to fess up. But that’s what making this challenge public is for, right? Right. Last week, I was doing great all week (no drinks Monday through Thursday and two glasses of wine on Friday night). However, I most definitely had more than three drinks at the wedding on Saturday. Whoops! I didn’t even keep track, but I know it was more than three. Back in the saddle this week with a potentially modified goal since I will be on vacation Thursday to Monday. However, at a minimum I will at least keep track of how much I am drinking and aim to keep that amount as low as possible while still enjoying myself and Sunday’s Super Bowl Beyonce concert. While I went over my drink budget last week, at least I am somewhat making up for it with my workouts. Fortunately for you, that means I have a new workout to share. This entire workout (including one minute of warm-up) took 31 minutes and left me drenched in sweat. It is a variation of the elliptical workout included in this post but is less impossible. It's been a while since I've done the original workout exactly as prescribed, but the one below is exactly what I did this morning. It is tough and worth your while without making you want to punch someone in the face. I am positive this is due to the lower resistances and higher speeds. Resistance above 11 or 12 is KILLER. Speaking of speed, for the fast intervals I like to lean forward onto my toes with my heels slightly lifted. I find this helps me hit the higher speeds without burning out. As always, feel free to adjust this workout to your level, but make sure you are still challenging yourself! 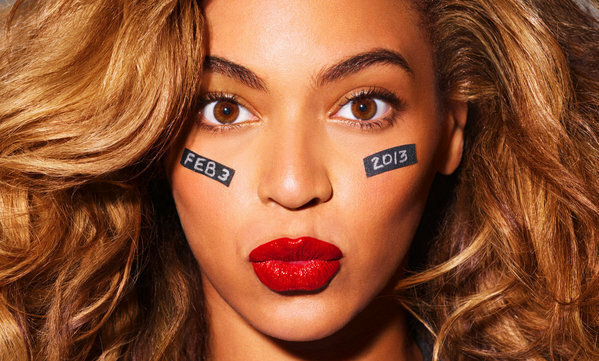 What part of the Super Bowl are you most excited about? The actual game, the commercials, or the halftime show? I think we know where I stand. THE SNACKS!!!!!!!!!!!!!!!!!!!!!!!!!!! And obviously watching Bey totally redeem herself... haters be damned! I had to ask my co-worker what B had to redeem herself for. So outta the loop! I'm also pumped for her HBO documentary in Feb! Nylon: Nylon harnesses and toys can be machine or hand washed with a light anti-bacterial cleaning soap.